• Wow!! That sparked off some creative McThinking! The Confident Club Conference – January 14th 2011: @TheBulletman issued Steve McDermott a challenge. The goal was to get x500 Twitter followers within a year. McThought: So HOW am I going to do that then? (Steve is McThinking here). Well tweeps, by January 13th 2012 @SteveMcThinking had 517 followers on the Twitterverse. Result! Not bad for someone born in 1950’s who didn’t even know what a blog was or how to do a ‘Tweet’ twelve months ago. This goal also coincided with the official launch of Steve McDermott’s new image and website at the Confident Club conference – The Ladder of Success. RT @kjerros: Read how @stevemcthinking Steve McDermott’s savagely funny self-help book got me writing novels… click here. 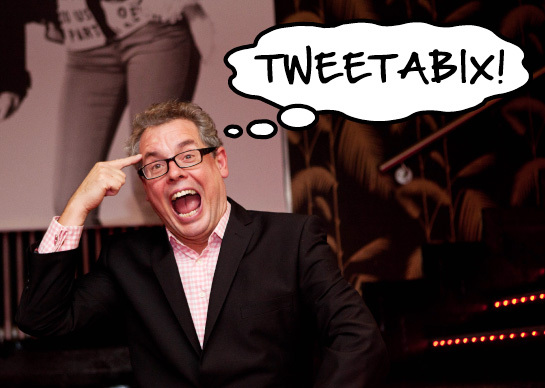 McThought: Like it… Take online content and milk it – Tweetabix! Article and blog post, image makeover and branding by The Bulletman. Thanks to Liz Cable and Reach Further (Leeds) for their help and support on Twitter. 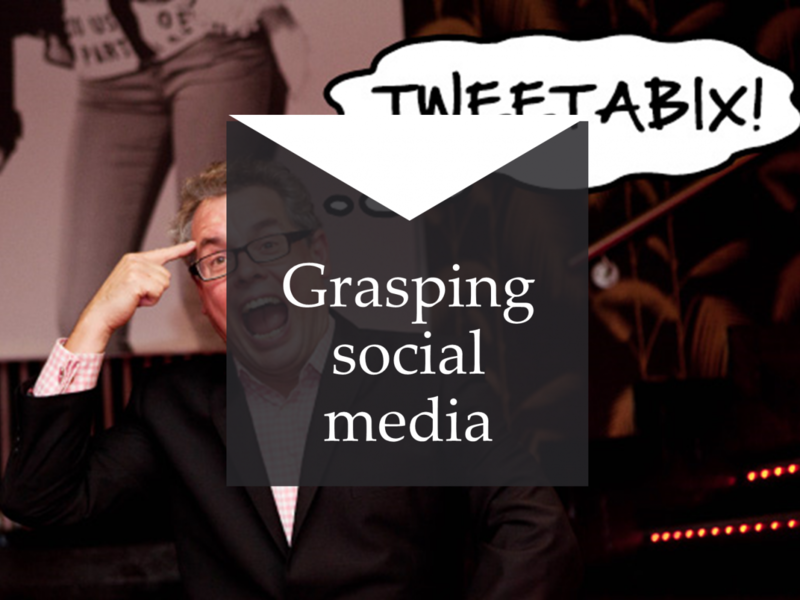 Follow Steve on Twitter – click here. To read the article about Steve’s book on Ben Wright’s blog click here. Steve’s book – How to be a Complete and Utter Failure in Life, Work and Everything. For more quotes and Steve’s testimonials please click here.